Key Difference: Roses can be classified into many categories on the basis of their color, blooming season, blossoms type, etc. However, generally it is classified according to the growth characteristics which include Bush, Climbing and Shrub types. Roses are beautiful flowers which are popular and well known for their arrangement of petals. It comes from the plant family known as Rosaceae. 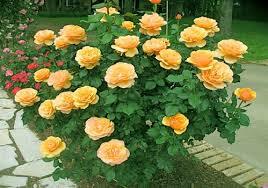 It refers to any perennial shrub or vine which belongs to the genus rosa. Most of the rose species have originated from Asia. However, few of them have come from North America, Europe or northwest Africa. Floribundas – They are considered to be the most colorful among all rose types. The plants are short in height in comparison to Hybrid teas. They give a nice view of the landscape. They occur as a bouquet on each branch. 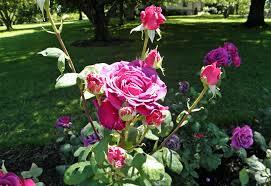 These are actually cross between the ployanthas and hybrid teas, providing good features of both. Eugene Boerhner is regarded to be the main breeder of this plant. 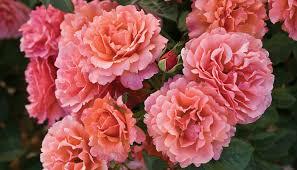 The term Floribunda means abundant flowers, due to many blooms per stem. These blooms are collectively known as sprays. They may or may not bear a fragrance as it depends upon the particular type of it. Hybrid Tea – These are cross between a Tea rose and a hybrid perpetual rose. Unlike floribunda, these roses produce single blooms. Hybrid tea blossoms are full but too soft to touch. The plants may reach from 8 to several feet in its shrub form. They usually have long and strong stems and therefore are desirable for cutting. They must be cultivated in areas where heat and humidity both gets mixed up in summers. They are available in almost every color excluding blue and the black ones. Miniatures – As the name indicates, these plants have blooms which are nearly 1 ½ inches across or lesser than that. 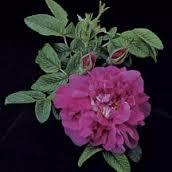 Most of these miniatures were created from Rosa chinensis ‘Minima’ Their plans are 6 to 18 inches tall. They have gained a lot of popularity as they can easily be grown even in containers. 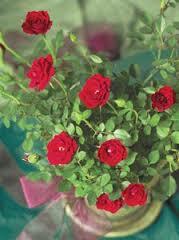 The smaller bloom, foliage and bush size makes them different from other roses. Its small bush produces a dozen or more blooms. They require direct sunlight for nearly five to six hours. They have shallow roots and therefore need a lot of water. They stop to grow when they reach about 15 inches in height. Their blooms last for weeks and they bloom during the spring. Grandifloras – Their flowers are larger than in comparison to floribundas but still less smaller than the hybrid teas. They may sometimes refer to extra vigorous hybrid teas. Some of them are one bloom stems types and some are cluster blooms type. They have a long blooming season. This name was introduced by nurseryman for the rose Queen Elizabeth. Gold Medal and Arizona are examples of Grandifloras. These plants are taller upto 6 feet. Polyantha rose flowers – It is typically a low growing flower. They blossom in large clusters known as panicles. It was first introduced by the French Breeder Jean Baptiste Guillot. That rose was named Paquerette. These are compact plants and usually grow about 2 to 3 feet tall. They repeatedly bloom and therefore are popular as good roses. The leaves of these plants are small and narrow. 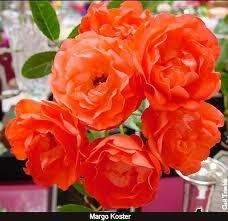 Margo Koster, the Fairy and China Doll are some of the common variety of these roses. 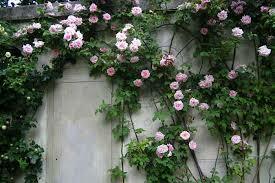 Ever blooming climbers - They bear many flowers during the spring which is flowed by scattered bloom. Rambler roses – They are fast grown flowers which have canes as long as 20 feet in a season . They are smaller is sizes approximately less than 2 inches across. Large-flowered climbers – they do not grow as fast as ramblers. They are more suitable for a small garden. 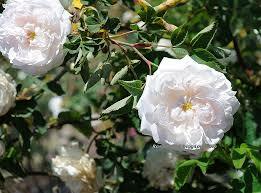 Shrub Roses: These are usually hybrids or cross of species which seem to be unfit for other classes. Its member differs extremely botanically with the other member. Generally, they rise up to 4 to 12 feet in height. They are generally used in privacy hedges. Many of these roses bloom heavily for only once, in the spring. However, some of them also bloom repeatedly. Hansa and Starry Night are two such examples. Old Garden Roses – These roses are also known by the name heritage roses. These were famous before 20th century (past before the onset of Hybrid Teas). They exhibit characteristics like sturdy as they are able to cope up with a cold winter season and also good in keeping away the diseases. This designation of Old Garden roses is provided by the American Rose Society. Modern rose classification includes those classes of roses which were created after 1867 or in 1867 (like Hybrid teas). They show irregular growth habits. Many of these roses have a desirable strong fragrance. Some of the spring blooming old roses are Albas, Damasks, Centifolia.